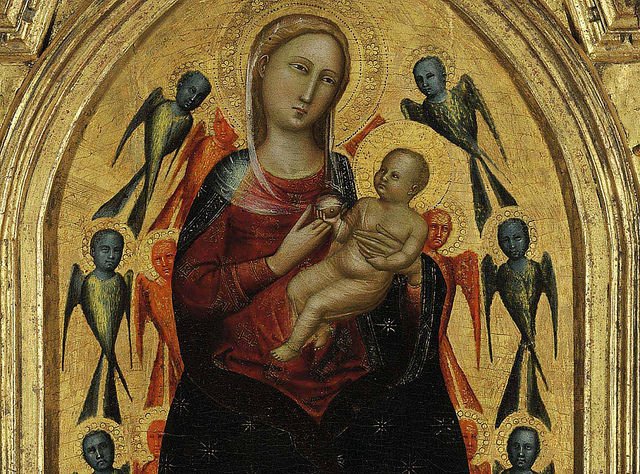 Lorenzo di Bicci (c. 1350–1427), father of Bicci di Lorenzo and grandfather of Neri di Bicci was a painter in the Orcagna mould. Some of his work, such as the Madonna and Child in Glory above verges on the surreal. See his Nativity in San Giovannino dei Cavalieri and other works in the Museo Bandini, the Duomo in Fiesole and Santa Croce in Greve in Chianti.